Darren Googoo lives in Membertou, N.S., with his wife of 25 years and their three children. Since 1994, he has had experience as both a classroom teacher and administrator and is currently the director of education for Membertou Mi’kmaq First Nation. He holds a master’s degree in education from Mount Saint Vincent University. It was a decision no leader wanted to have to make. Faced with a $1-million annual operating deficit, and 37 employees whose jobs were on the line, Membertou’s chief and council knew they had to make some tough decisions about the community’s future. If they didn’t act fast, the Cape Breton Island community would end up in third-party management — a federal official from the Indigenous affairs department would take control over a community they likely had never been to before. A $1-million annual operating deficit with only a $4-million budget wasn’t sustainable, and everyone knew it. It was 1995, and the chief was Terry Paul, a position he still holds today. At the time, Membertou was dealing with high rates of poverty and unemployment. Chief Paul and members of council knew they were at a crossroads — they had to either carry on with business as usual and risk further economic decline, or they could attempt something new, something unknown, that would really change the community. They chose change. Over the next few decades, our community worked hard to eliminate its deficit, create training and education opportunities for members, reduce unemployment and recruit community members to return home to work towards this vision of a vibrant and prosperous community. Today, we’re at the point where our community is considered one of the most efficient and sustainable First Nations in the country. But choosing that unknown path two decades ago brought its fair share of challenges. 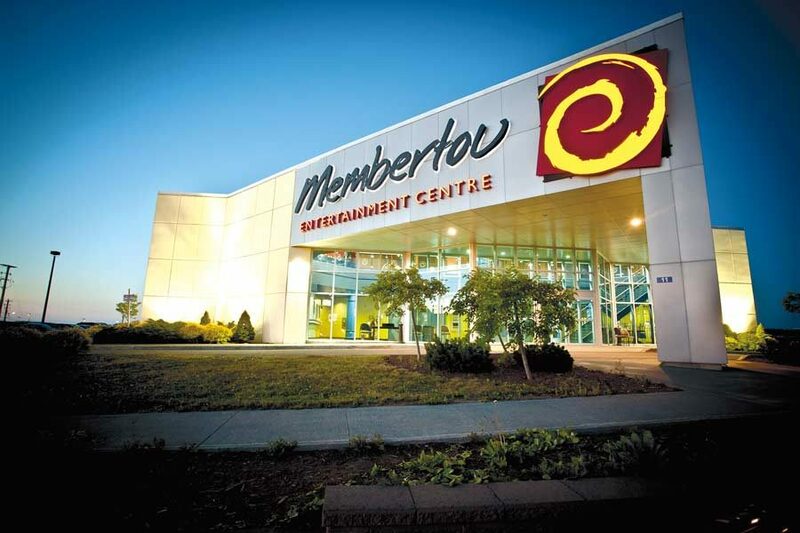 The Membertou Entertainment Centre in Nova Scotia. Membertou’s biggest challenge was creating an environment that made people want to return to the community. In previous decades, community members who received formal education had to leave to find jobs. We realized, though, that many of these people had become experts in the very areas that we wanted to focus on developing — health, education and business. As we created and changed staff positions in the community, we focused on personal recruitment for each job that opened up and emphasized a merit-based hiring policy. This led me to return to the community as the director of education in 1997, where I’ve remained since. We knew that education continued to be an issue. After the community’s school was shut down in 1964, students had to attend classes in neighbouring Sydney, N.S. Attendance and graduation rates were abysmal. With the passage of the Mi’kmaq Education Act in 1997, we saw an opportunity to take control over our own education process. Proudly, we were able to open our own elementary school in 2015 and expand it in 2017. For us, children are the number one priority in the community, and we’re continuing to invest in the next generation. Membertou’s biggest challenge was creating an environment that made people want to return to the community. In previous decades, community members who received formal education had to leave to find jobs. Community members also decided that we should have funding sources separate from the federal government. We held a vote for all community members, who approved our plans to enter the gaming industry in 2000 and the commercial fishing industry in 2001. Some members were concerned that these activities might diminish our rights in the future, but the band council was able to show how these businesses would support our self-development and reassured people that they would always follow the wishes of community members. Finally, we were the first Indigenous community to pursue ISO 9001 certification, which we received in 2002. While this may seem like a technical point, for us it was a demonstration to the community that not only were we committed to serious change, but we also had the tools to manage it, guide it and govern it. It further established our credibility in the business world. In 2015, we earned a certificate in financial management to highlight our commitment to strong financial practices, transparency and accountability to community members and other partners. These early efforts and sacrifices have paid off tremendously over the past two decades. Our community is now the third-largest employer in the region, employing 500 people. Of course, leaders know that maintaining a sustainable community is about more than just creating jobs; it is also about creating wealth that allows Membertou to operate and support the many programs and services that make a community whole. The Membertou Gaming Commission helps support social programs, housing, education and more. Combined with First Fishermen Seafood’s, our commercial fishing venture, these two enterprises bring in more than $3 million in annual revenue to the community. Partnerships with nearby communities and businesses have also been a key part of our success. We’ve set up a tripartite relationship with Eskasoni First Nation and the Cape Breton Regional Municipality to work together on port development, tourism and other issues of mutual interest. These kinds of relationships allow us to embark on new ventures knowing we have partners willing and able to support us. Along with other Mi’kmaq chiefs in Nova Scotia, we signed a deal with Kameron Coal in 2016 that has created a source of royalties to a number of communities. We’ve purchased a health facility at the Cape Breton Regional Hospital, which will additionally help us bring hospice care and long-term care facilities to Membertou over the next few years. And we’ve teamed up with Cape Breton University and our own Membertou Economic Benefits Office to ensure members gain the skills needed for future jobs. It has been a privilege to see our community come so far. While there may be unforeseen challenges ahead, the best way to prepare is to educate our children and give them the best opportunities possible. We never want our young people to have to leave the community to find success. As long as we continue to focus on building a vibrant and prosperous community by putting our young people first, we will be in good hands.